It's no secret, but I love grocery shopping..even during the dreaded flu season! I've started going on Mondays as soon as I drop the kiddos off at school. It's my quiet time where I try to figure out what my family will eat all week, and I love/savor every minute of it! We are always so busy that if we don't meal plan to some extent then it's a whole lot of eating out, and that just doesn't work for us anymore. Join me every Monday on Instagram ( @britthensley) while I share my meal planning list! I am doing this more for my own accountability, and I would love to see what you and your family is eating every week! 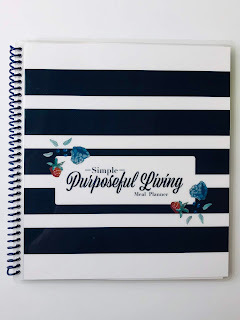 A quick shout-out to my friend Erin @ Simple Purposeful Living because she makes the easiest meal-planning product ever!! 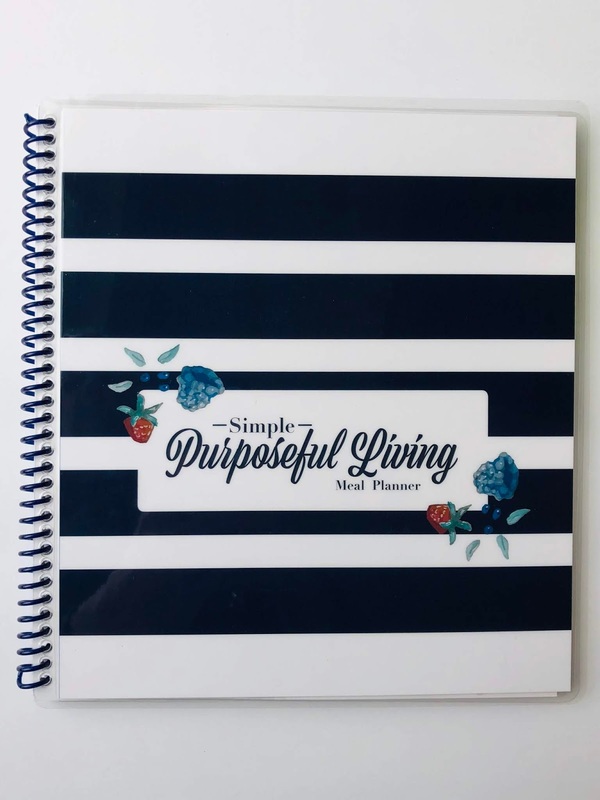 She makes a 52-week meal planning journal that has perforated sheets for you to meal plan on one side & make grocery lists on the other side! Yesterday, I stopped by two of my favorite little grocery stores and grabbed all the things that my family will need for all our breakfasts, lunches, and dinners (minus our dinner @ church)! Okay, so I'm totally new to shopping at Aldi, but we LOVE it so far. I'm slowly trying different things, and everything has been so good! I've read several bloggers who swear by Aldi, so until we get a Trader Joe's in our area, I'll be buying all my organic produce here! I also grab all our sandwich needs at Aldi, because my boys prefer their cheese to any other cheese brand! Those sub kits make our mornings so much easier because we have one boy who wants a ham, cheese, & mayo on wheat sandwich, while the other boy wants a spinach wrap with turkey and cheese. These boys are so different that they 'need' different cheeses too! I also grabbed those Valentine's inspired cherry yogurts, because they are festive!! My family's favorite fruit! Nat can eat her weight in blueberries, and the boys love grapes and bananas! I've shared before just how much I love all the Kroger brand things, and y'all I just can't quit it! I snagged some pantry staples, and I even found a new favorite seasoning that I'll be using on all the stuff: black truffle sea salt! At $2.99, it was a 'spluge' I couldn't pass up. Black truffle anything is my favorite, so this is now my favorite favorite! Breakfast options for the kiddos! Different yogurt flavors, high fiber granola bars, cinnamon breakfast bars, my granola bites, and frosted mini wheat cereal. Confession: I'll pack a snack bag of the cereal for an afternoon snack happily every day!! Lunch is where I struggle most to plan for, because we pack the kids' lunches, & then I have no clue what I want, besides something that requires little to no fixing and clean-up! I'm obsessed with the YES! Sipping Soups in the sweet corn and roasted poblanos flavor! I have to only buy 2, or I'll eat it every single day! Another favorite of mine is that Dole Sesame Asian salad kit!! These both make quick, yummy lunches for me while the kids are at school. Do you have any favorite lunches that you can't quit?! Send me all the ideas! Let me know what you are fixing this week! Thanks for sharing the meal planner, you are the best and I can't wait until our Aldi opens next month hopefully. It will be so convenient and hopefully help our budget!